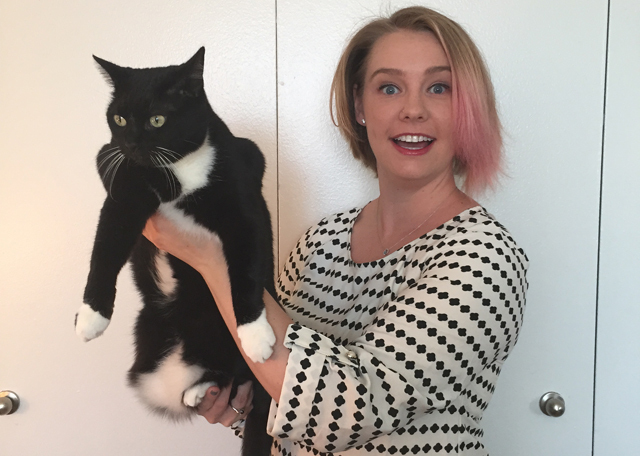 My cat, Sake, was really stoked about this Stitch Fix. All hail Summer! Summer is at an end. Colors, apparently, have died with it. Stitch Fix sent me some solid stuff this month, but they seriously have to up their color game. Granted, I have begged for a basic cardigan for a while now, but I believe they forgot that asking for one piece does not mean all pieces need to be super drab. That being said, this was a pretty good fix. I know at the very least Kristina has been eagerly waiting for this post so... wait no more. You get to tell me what looks good and terrible on me from my Stitch Fix box! Side note: I think it's been a year since I started getting this stuff and honestly, I wear 80% Stitch Fix (at least one piece of clothing, that is) every day. That's pretty impressive. 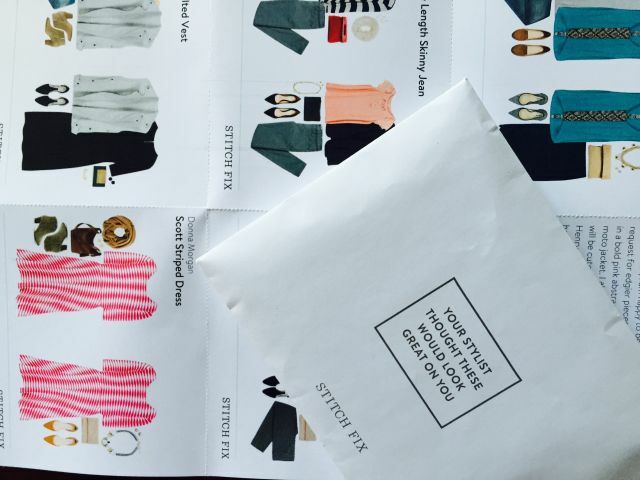 Spring Stitch Fix Edition comes with colors and dresses, exactly what I asked for. I can't tell if I like everything in this box or am not sold on almost any of it. More than ever, I really need advice. I've started writing on Medium. Before, when I had something I wanted to write about, I'd post it here. Usually my posts would get decent traction (and then there was that time that Kotaku had a slow Friday and published an article about one of my blogs.) Most people who come here, though, are people who know me or my friends, and you guys can hear me pontificate about what I write about over a beer or on Mumble. So I started writing on Medium. I write about work issues and philosophies, tech, women's issues, hobbies, current events: the normal stuff you'd see me writing about before. Right now, I'm publishing about once a week, and so far I've had some really good pick up and positive feedback on my work, which has been really motivating for me to keep going. Medium Staff has even recommended a couple of my articles, making me feel like I'm headed in the right direction. I'm an English and Creative Writing major, after all: it's about time I started holding myself accountable to publish stuff regularly.